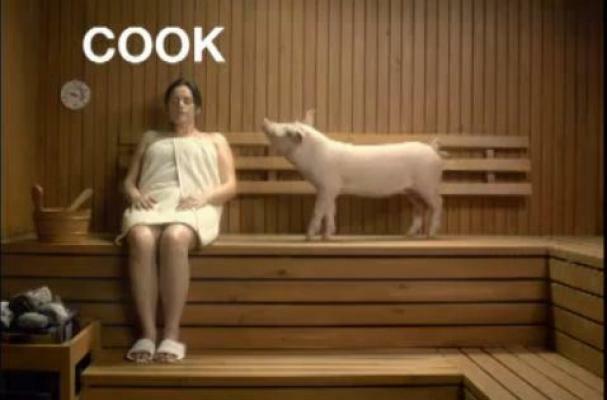 The USDA released a new ad campaign for food safety featuring a pig in a sauna. The idea seems to be to use humor to remind people to cook foods to the right temperature. But the cute little pig just makes me want to go vegan. Poor little piggie in the sauna. And what about the smell in that sauna? Can you imagine? What do you think about the USDA's pig sauna food safety ad?